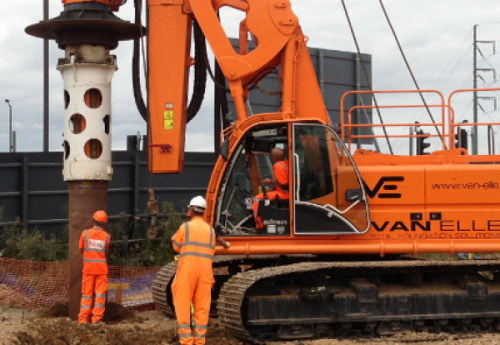 Profit before tax has slipped to £2.8m (£5.4m in 2017) for Nottinghamshire geotechnical engineering company Van Elle, according to interim results for the six months ended 31 October 2018, after a “challenging” third quarter. The firm says trading was, however, in line with the revised expectations at £42.9m (H1 2018: £52.6m), reflecting Van Elle’s “quiet” first quarter. Mark Cutler, Chief Executive, said: “First half results were in line with our revised expectations and reflected the improved performance in the second quarter after a quiet start to the year. “This is a transitional year for the business and since my arrival in August 2018, I have been undertaking a full review of the business. As part of this process I have been taking action to refine the Group’s commercial approach, streamline operations, strengthen the leadership team and re-focus on our key customers. This is already creating a strong platform from which to pursue our growth strategy. “The third quarter has been more challenging than we anticipated, with a disappointing performance in General Piling and several project delays. As a result and despite good momentum being carried in from the first half, we don’t believe we will be able to deliver the significant step up in performance during the second half that we anticipated at the time of our trading statement in December 2018. “These challenges have been frustrating, but it is pleasing to see outlook for the final quarter remaining robust and with a strong pipeline of target projects providing good forward visibility.